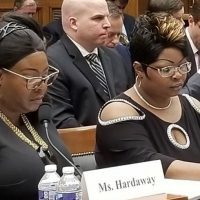 When the hilarious duo Diamond and Silk testified before lawmakers in Washington, D.C. last week about Facebook censoring conservative speech, Georgia Democrat Hank Johnson criticized the women for supposedly making money off of supporting President Trump. 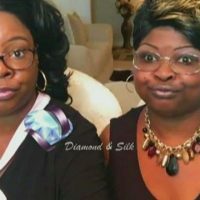 Now, Johnson is raising money off of Diamond and Silk. 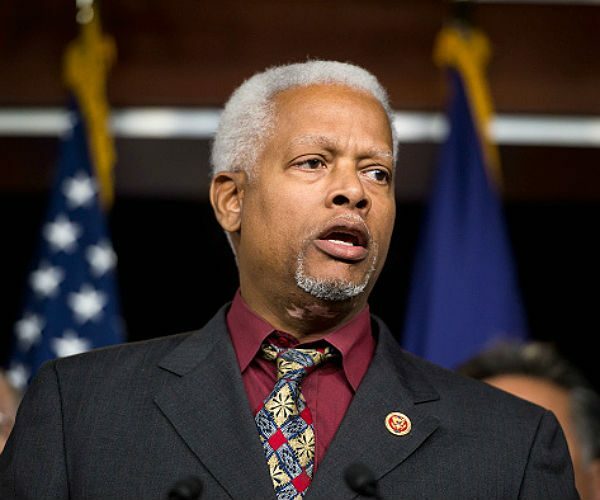 “Congressman Hank Johnson here. 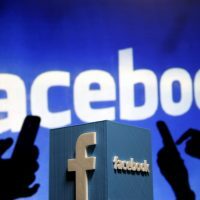 Friends, I need your help. 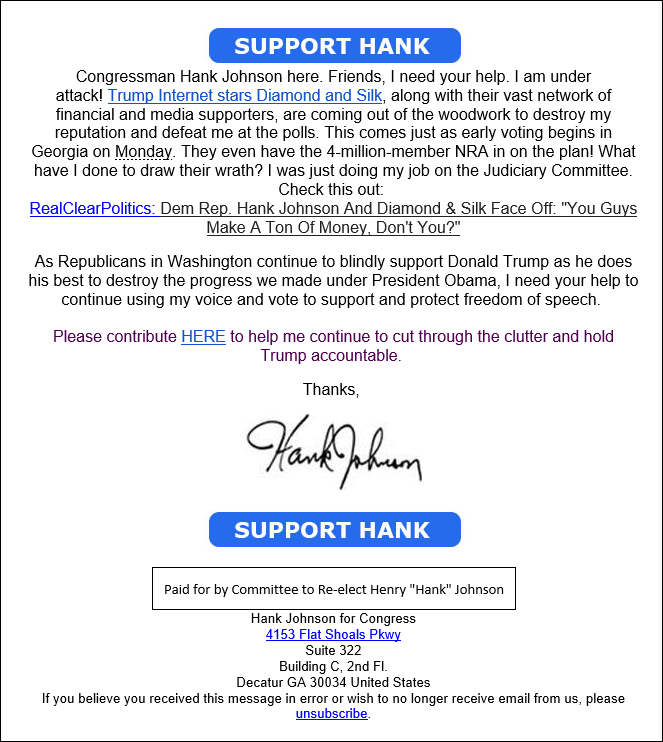 I am under attack!” Johnson wrote in a recent email. 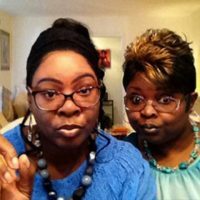 “Trump Internet starts Diamond and Silk, along with their vast network of financial and media supporters, are coming out of the woodwork to destroy my reputation and defeat me at the polls.